Psychology: Mental Health Concentration, B.A. Psychology is the scientific study of thoughts, feelings, and behaviors. Avila psychology majors learn to approach behavior at individual, family, and systems levels through coursework, research, and field experiences. Mental Health Concentration - Designed for students interested in a liberal arts bachelor’s degree, who would like to better understand normal and abnormal human behavior. Students in this concentration typically find employment that utilizes their psychology skills, enter master’s level psychology or counseling programs, or enter other graduate programs in areas such as law, medicine, occupational therapy, or business. Research Concentration - Designed for students interested in pursuing a doctorate in psychology and/or a career in research. Students must apply for acceptance into the research concentration after completing PY 261 and PY 262 . 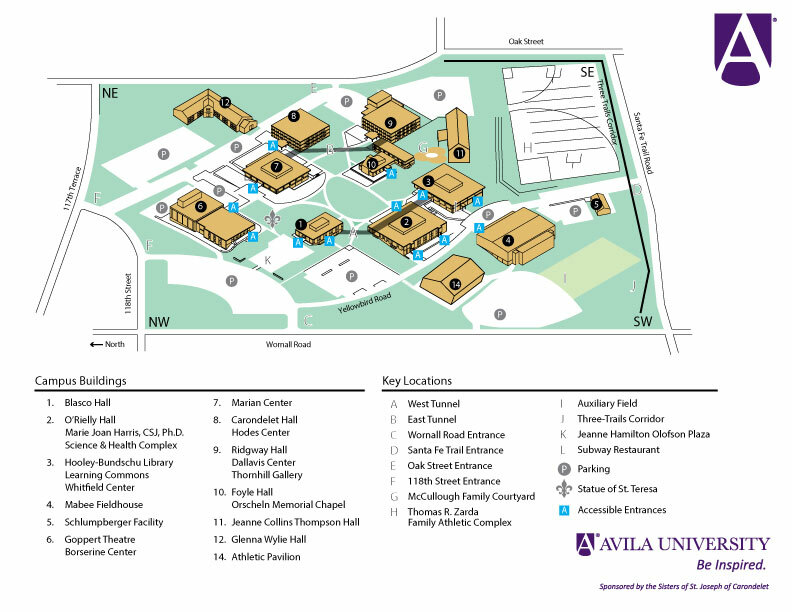 Minimal requirements for acceptance into the research concentration include: (a) completion of six hours of coursework at Avila, (b) a 3.25 cumulative grade point average, (c) a “B” grade or better in PY 261 and PY 262, and (d) recommendation of their advisor. General Concentration - Designed for students interested in a flexible degree program. The Psychology Club and Psi Chi (Psychology Honor Society) support extracurricular activities, collaborative learning projects, and volunteer opportunities. The candidate for the Bachelor of Arts degree in Psychology must complete all of the General Degree Requirements stated in this catalog. In addition, students must complete the following psychology major core course requirements as well as requirements in up to two selected areas of concentration, for a total of 42 credit hours. Note: ALL required major courses - core, concentration(s) and related requirements - must be completed with a grade of “C” or better. In addition to the general degree requirements, psychology majors must meet departmental learning outcomes aligned with five major areas identified in the American Psychological Association Guidelines for the Undergraduate Psychology Major (Version 2.0). Students should demonstrate fundamental knowledge and comprehension of major concepts, theories, historical trends, and empirical findings to discuss how psychological principles apply to behavioral problems. Students should develop scientific reasoning and problem solving, including effective research methods. Students will apply psychological principles to communicate and interact effectively with members of diverse groups in various contexts. Students should develop ethically and socially responsible behaviors for professional and personal settings. Students should develop psychology-specific content and skills, effective self-reflection, teamwork skills, and career preparation. The outcomes for the psychology major are assessed through a combination of: (1) written and performance examinations and assignments as specified in the course syllabi; (2) self, instructor, practicum supervisor, and psychology faculty evaluations; and (3) completed projects assigned throughout the program. The Department of Psychology offers an accelerated option to outstanding undergraduate Avila psychology students allowing a bachelor’s and master’s degree in Psychology to be earned in as few as five years. Through early admission to the master’s program, undergraduate students with senior standing admitted to the accelerated 4+1 program may earn up to 12 credit hours at the graduate level to be counted toward both the bachelor’s and master’s degrees. Interested students should submit an application for admission to the Department of Psychology.